April for all dutch people is a very special month. On the one hand it is the begging of tulips bloom in famous Keukenhof. On the other — this is the month, when Amsterdam and other cities of Netherlands get ready for annual festival in honor of Queen’s birthday. This is an official holiday, but it is celebrated with a whole week. Believe me even the most experienced travellers get amazed with what goes on these days. 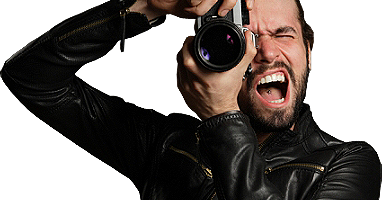 Therefore choose sightseeing tour in Amsterdam with a photographer to have sweet memories of your trip. Winter in Europe always brings surprises. Sometimes it is warm, the other year it is too frosty. This winter in Europe and in Holland in particular was extremely long-lasting. Even the tulips in Keukenhof didn’t manage to bloom till the begging of April. 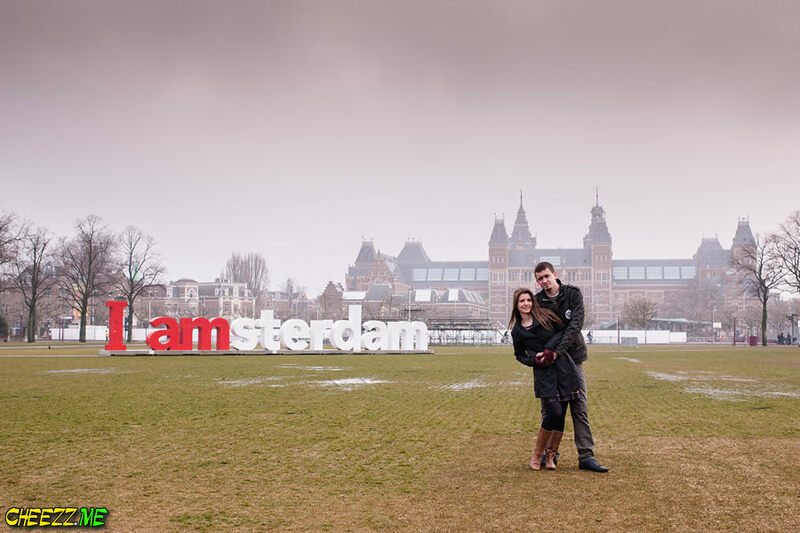 Though the weather was fine and our first spring sightseeing tour with a photographer in Amsterdam was arranged with a lovely couple from Russia. We usually begin photo sessions and touring Amsterdam early in the morning in order to catch the empty city with no rush and traffic. Usually an individual walking tour in the capital of the Netherlands starts at the Museumplein. Then together with the tourists the photographer goes to the very city center to find interesting and memorable attractions: gorgeous views on channels and architecture of Amsterdam. It takes about 3-4 hours and what happens within this time, I’m going to tell you. Any individual sightseeing tour aims in showing the most popular places of interest of this or that city. For example in Prague such a place is Charles Bridge, in Barcelona – Park Guel, in Rome – the Vatican and so on. What concerns Amsterdam, there are of course a lot of places to go, but usual starting point is the Museumplein or the Museum Square. A huge screen on the building of the Rijksmuseum was counting down days and hours until the beginning of Queen’s birthday celebration that takes place at the end of month. Preparations for this amazing holiday were on and therefore the popular I Amsterdam huge statue was moved from the usual place to the middle of the square. 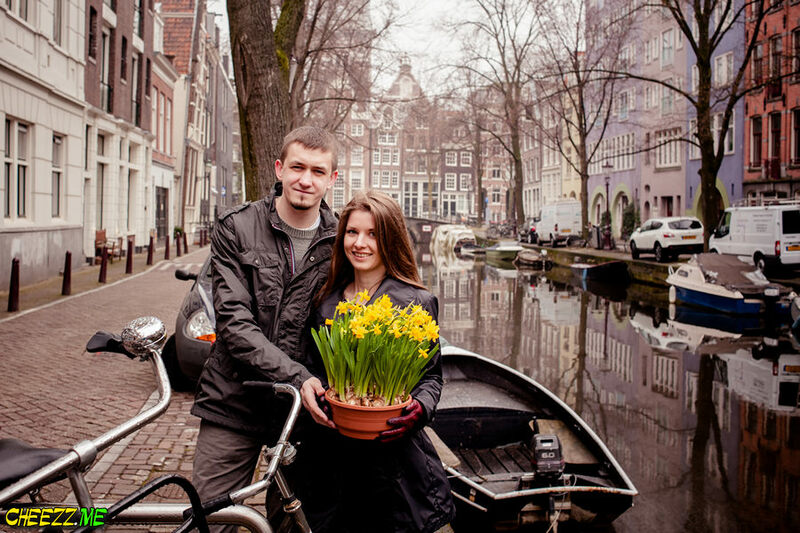 After several photo stops in front of cute houses and streets of Amsterdam photographer together with the couple finally approached Flower market of Amsterdam. 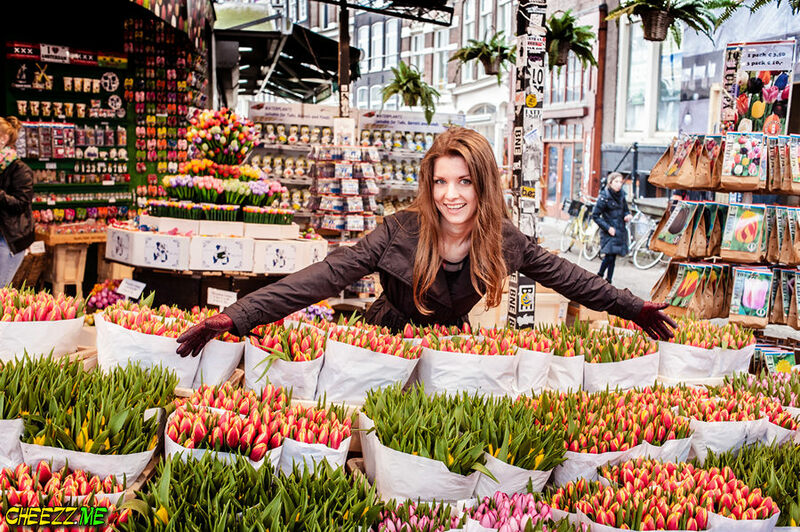 Here one can acknowledge the fact, that Holland and Amsterdam is called the motherland of tulips. There are a lot of these spring flowers in any possible colour. Any girl dreams to get a bouquet of such lovely plants. After pictures taken at the flower market they proceeded with the following attraction. This building used to be a very important place for both citizens of Amsterdam and seamen coming to the city with goods from different countries. Is was the place where they learned the weigh and the price of what they brought. At the moment, all these affairs are curried out distantly. Therefore nowadays the building of weigh house is a museum and just another attraction of Amsterdam with interesting history. The square around the house, which used to be the place where goods where unloaded and measured, is empty and gives lovely views. It is the most popular place in evening Amsterdam, when the lights from the windows with nasty and even horny ladies attract the sights of the passers-by. In the morning red light streets of Amsterdam are not so crowded, but even though here or there one can see some girls at work. I would like to warn you that taking pictures in the area is strictly forbidden. A lot of photographers in Amsterdam lost there cameras, because they wanted to make pictures with the girls. So be careful and mind this fact. This is a very beautiful oldish building with modern and convenient infrastructure. The railway station is located in the city centre of Amsterdam, therefore it is very comfortable to get from this place to some other by means of tram or in foot. It takes some 5 minutes for you to get from the central station to the Dam Square, that is regarded to be the very centre of Amsterdam. At the railway station there is a huge bike parking with several thousands of bicycles. Of course while touring Amsterdam with your personal photographer and guide you are sure to get some lovely and amazing photos in front of this parking. If you plan to visit Amsterdam and Holland and would not only explore the place, but also to have some lovely photos, book your personal photographer and guide. Learn more about this offer in contacts. 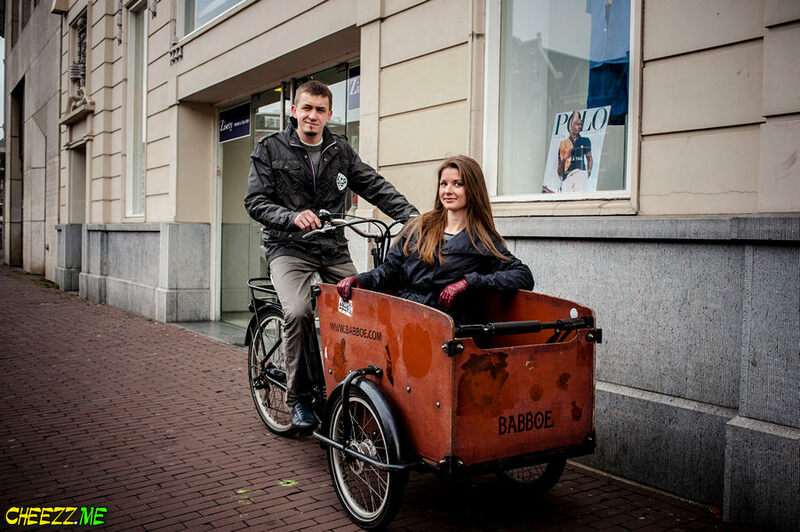 If you find this article about Sightseeing tour in Amsterdam with a photographer interesting, feel free to share it with your fellow friends by giving us +1.